Interspan Global Logistics Limited is a multimodal freight forwarder based in the heart of the West Midlands, we as a company originally set up in 1993 bringing our flagship services to and from Spain, Portugal and the surrounding islands, to our wide and varied customer base. Moving on from the early days, we now find ourselves adding and establishing services to our constantly broadening portfolio. As a company we now concentrate our services into Eastern and Western Europe, the Middle East, India, Pakistan, the Far East, Australia, United States, Canada and Mediterranean destinations. 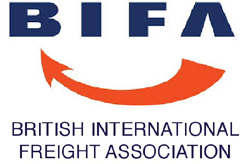 We have linked up with one of the leading worldwide networks for sea freight and container services. Working in partnership with all major shipping lines and having access to extensive shipping schedules. Our Sea and Airfreight division offers a complete package of cost effective delivery options for distributing goods around the world. Furthermore Interspan Global Logistics have established regular groupage and Full Container Load import services from the Far East including mainland China. We have the options to clear import consignments at all major UK ports and have Deferment usage options available on arrival and we can offer competitive delivery rates for LCL and FCL cargo from most major UK ports. With highly experienced staff and a vast knowledge and experience of markets throughout the world Interspan Global Logistics Ltd can provide total freight forwarding and logistics, complete with extremely competitive pricing. When you contact Interspan you don’t go through complicated automated phone systems with numerous options. You get through to us direct. We understand that in a fast paced, commercialised world where response times are critical, that you as an importer or exporter, do not have time for waiting around just to speak to someone. We also make booking very easy – no automated phone systems, just straight talking from an experienced member of staff who will quote you for your specific needs. In the event of more time sensitive cargoes, Interspan Global Logistics can provide Airfreight Courier Services for smaller packages and general Consolidated Airfreight services on a Door to Airport/Door to Door basis around the world. We also have a network of van’s at our disposal for any urgent European deliveries. We have the expertise and resources for even the largest contracts, but we never lose sight of the importance of a personal and professional touch. You provide the freight, we provide the solution. For a quotation or any further information on our services and how we can benefit your company, get in touch. We are here to help.